After God and His Word the next core value of ours must be Prayer – for prayer is our communication with God. Without proper and two-way communication both our prayer life and our daily lives become one-sided and often misguided. If the Incarnation of Jesus Christ has taught us one thing it is that God cares for, and engages with, His people. 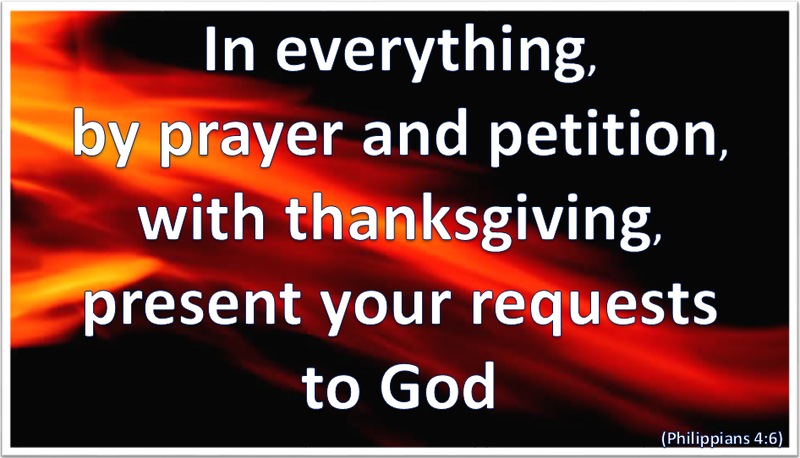 We are encouraged in Scripture to pray continually (1 Thessalonians 5:17) and about everything (Philippians 4:6). Jesus also taught us to persevere in prayer (Luke 18:1). There will be so much that we want to say to God. However prayer is not only about our concerns but about God’s desires as well. This comes out clearly in the prayer that Jesus taught His disciples. Very definitely God’s will is placed first and foremost. Our prayer life becomes far more dynamic if we are also praying the prayers that God would want us to – that intentionally align themselves with His will and purpose. For this to happen we needs must ask Him what He would wish us to pray, and then listen for His response. It may take practice but as we persevere we will learn to recognise the ways in which He talks to us. This is very inspirational and encouraging – and how wonderful to align our prayers with His. They will be the love-filled prayers that God desires to answer because they will be the best for us and our situations. Some of them will surprise us. And for those instances where, for whatever reason, we do not know how to pray then we can do so in the Spirit – either in tongues or by holding the situation wordlessly before God as our spirit communicates with His – silently or through our tears and anguish. Prayer is far more than sending texts off into the blue. It is at the heart of a living relationship with the Living God, and one of the most vital and valuable activities in which we can engage – even at the initial level described here. Given the opportunity God will take us far deeper. Holy Spirit please enter into my prayers – guide me, and help me to listen for, and to recognise, the voice of God in the way that He chooses to communicate with me. Amen.